April STOCK Offer on a BRAND NEW Award Winning SEAT Ibiza SE Technology 80 ps models. In Stock for immediate delivery just order by the 30th April and register by 30th April to take advantage of this offer! Numbers are limited so please don't miss out! Take advantage of this April Only Offer - New Ibiza SE Tech 1.0 80ps £1,454 Customer Saving, £1,750 Customer Deposit Contribution, ONLY £207 Customer Deposit and £207 Per Month - SEAT Solutions (PCP) 48 Months 6.9% APR. Contact your local branch to find out more about this offer. With Solutions Personal Contract Plan. 18s+. Subject to availability/status. T&Cs and exclusions apply. For orders placed from 1st April 2019, registered and delivered by 30th April 2019. Indemnities may be required. Not in conjunction with another offer and may be varied or withdrawn at any time. Accurate at time of publication, April 2019. Freepost SEAT Financial Service s.
**UK residents age 18+. Subject to availability. Participants must register with their details to receive voucher code. Voucher can be downloaded from here. Retail sales only. Voucher may be redeemed against the on the road price of a new SEAT vehicle at participating UK dealers. Applies to new orders from 2nd April – 30th April 2019 and registered by 30th April 2019. 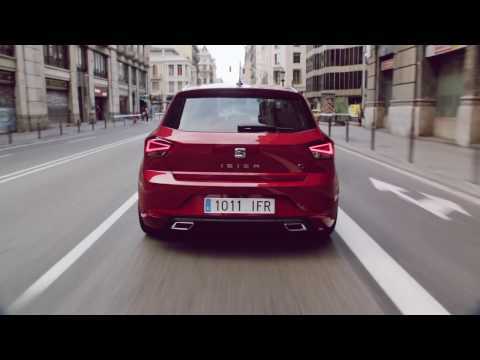 Excludes CUPRA Ateca. Voucher must be presented to dealer at time of order. Not available in conjunction with any other voucher. One voucher per order. Contact your dealer for further details, including details of if and how the offer may be combined with other offers. This offer may be varied or withdrawn at any time. ^Payable with optional final payment.